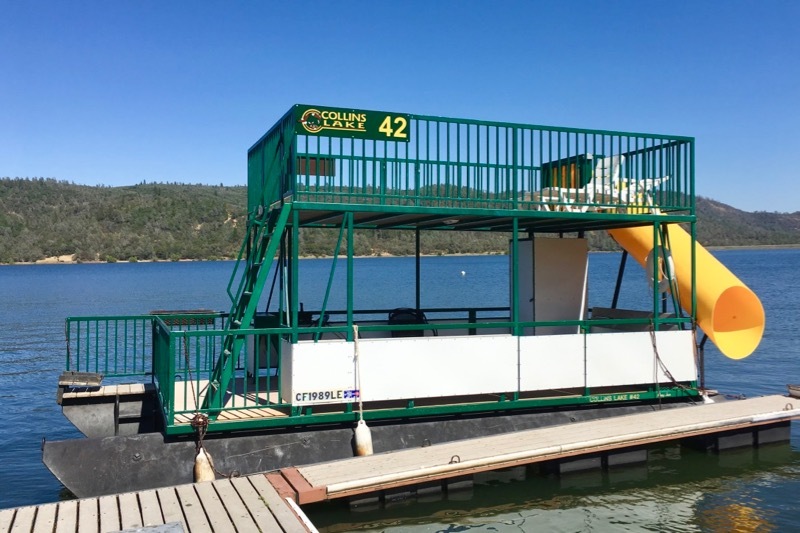 Our two story patio party boats are available from sunrise to sunset and are a great way to relax on the lake. The upper deck is open to the warm sun and has a gated water slide for kids that lands in the cool lake water. There's a coal barbecue off the bow and a changing room with a portable toilet so you can stay out all day. Plastic deck chairs and a table are already on-board which make it easy to set up for a party. One story patio party boats are a great compliment to their two story cousin. 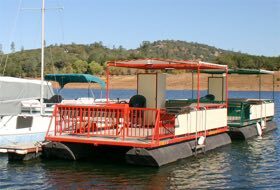 They features the same lower deck space, person capacity, chairs, tables, portable toilet, swim ladder and barbecue. The half cover canvas top keeps the back shady and cool while the open bow and stable platform make casting a rod as easy as fishing from shore. The large deck and side benches make for easy parties. 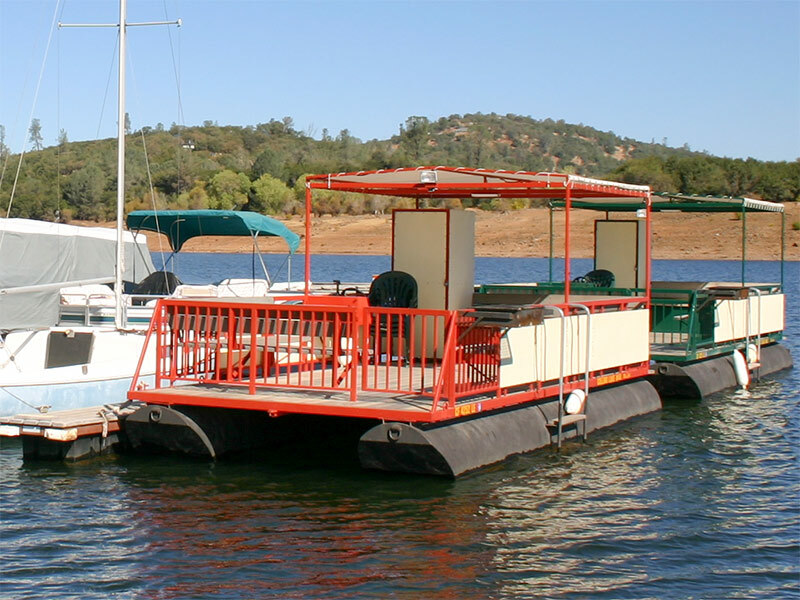 These boats are the most versatile of our fleet. 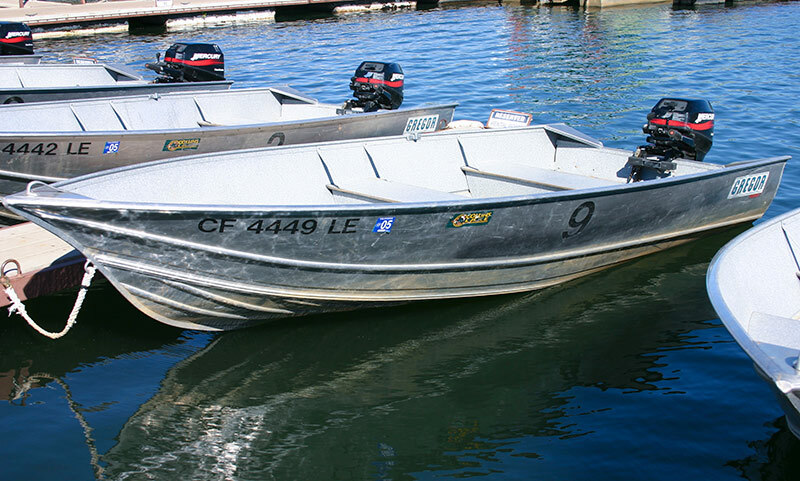 These classic aluminum fishing boats will quickly take you any where wherever the fish are! All of our boats use 4-stroke engines which mean a quieter, cleaner day on the lake. 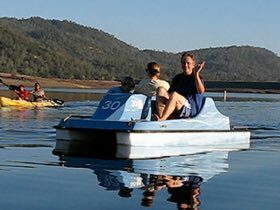 Whether you're trolling the dam or fishing among the rushes or just touring the lake you'll benefit from the agility of this popular boat. 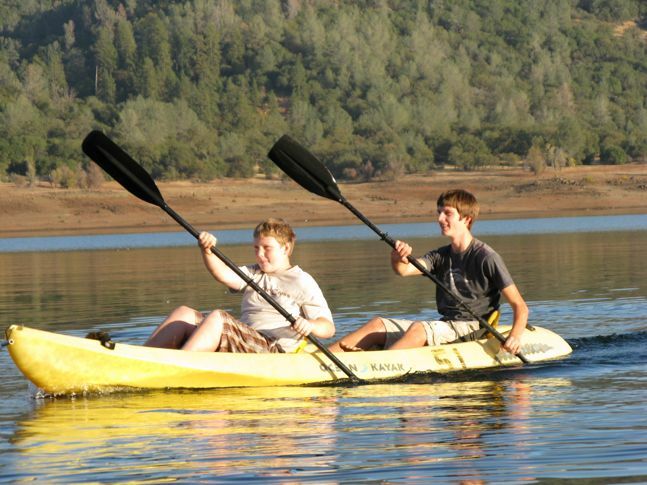 Ocean Kayaks are an exciting way to get out in the sun, exercise and explore the lake. Bring your arms and we'll set you up with lifejackets and paddles for one or two people. 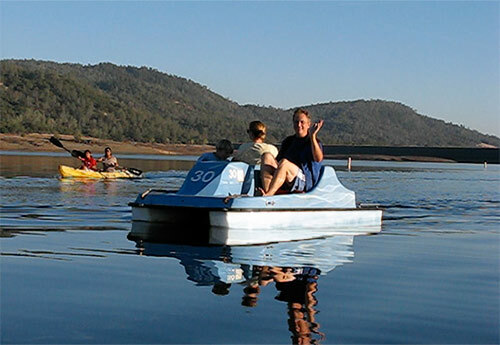 Paddleboats are a relaxing and economical way to get off shore and onto the water. They seat up to three and the back platform makes a nice swim deck for kids. We rent Cabins and Trailers year round for easy setup and relaxing camping. Sleep on a real bed without having to spend the effort and the gas to tow a trailer. 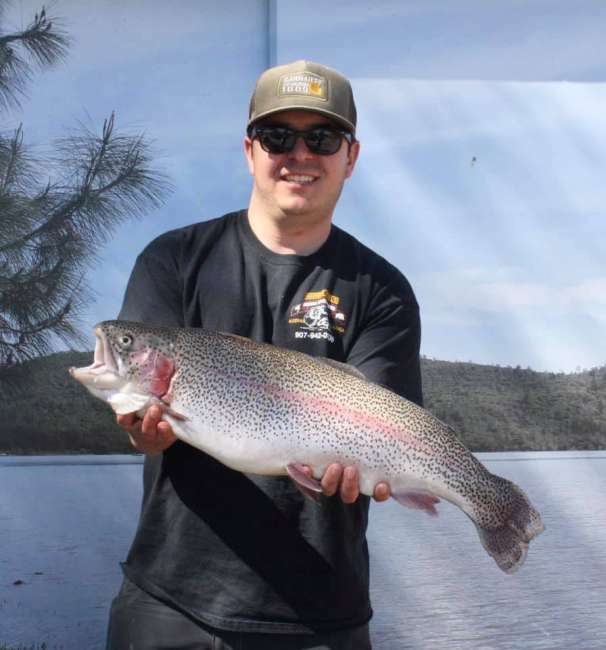 For more information see our Cabins & Trailers Page.